Animal rights group Peta (people for the ethical treatment of animals) has a problem with everyone favourite Italian Mario. 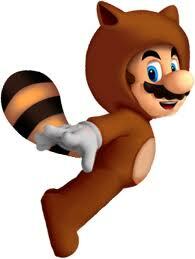 They say that by Mario wearing a Tanooki suit in Super Mario 3D Land is sending a message that it’s OK to wear fur. I’m for animal rights but this is just stupid! Nintendo responded by saying that these light-hearted and magical transformations give Mario abilities and make his games fun to play and that it makes no statement beyond the games themselves.